Sophisticated, simple and attractive; the humble appeal of Scandinavian style attracts us directly. The chic Scandinavian design sited usefully above aesthetics and elegant soft color give simple and decent ambiance. Simplicity is an innate feature of Scandinavian style making it totally flawless for modern homes that love to turn towards the least. Scandinavian bedrooms must be stress-free private sanctuaries full of calming colors, relaxed bedding and luxurious pillows. 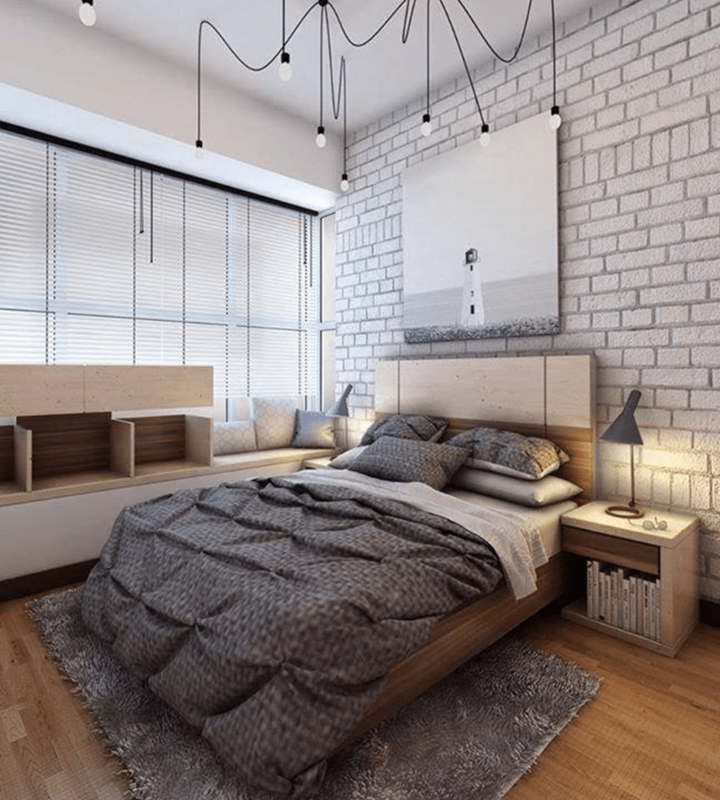 Here we will showcase some captivating Scandinavian bedroom designs chosen by our Interior Designers that vary from the fashionable to elegant. Incorporate frameless and headboard-less is a less expensive choice that exploits the large, uncluttered space with simple décor as shown in the above picture by Unity Interior. 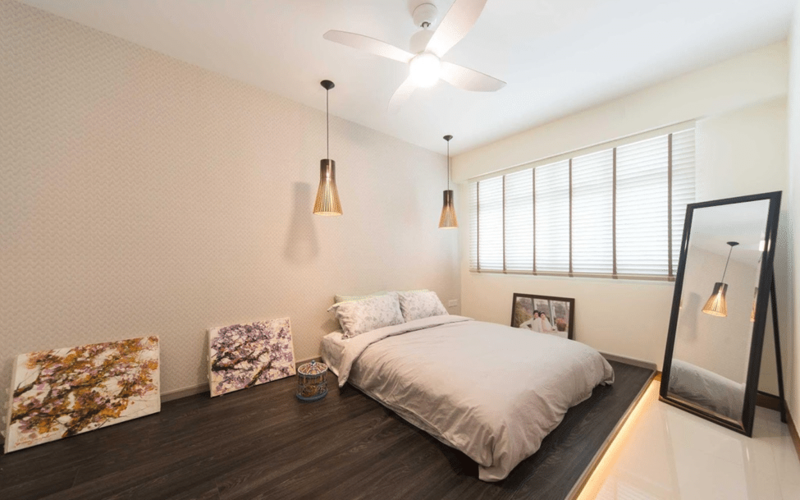 When the room is less busy with heavy furniture and dark colors, you can get away with a messy, wrinkled, extremely alluring bed as shown in the above picture by Ecoplex Design. 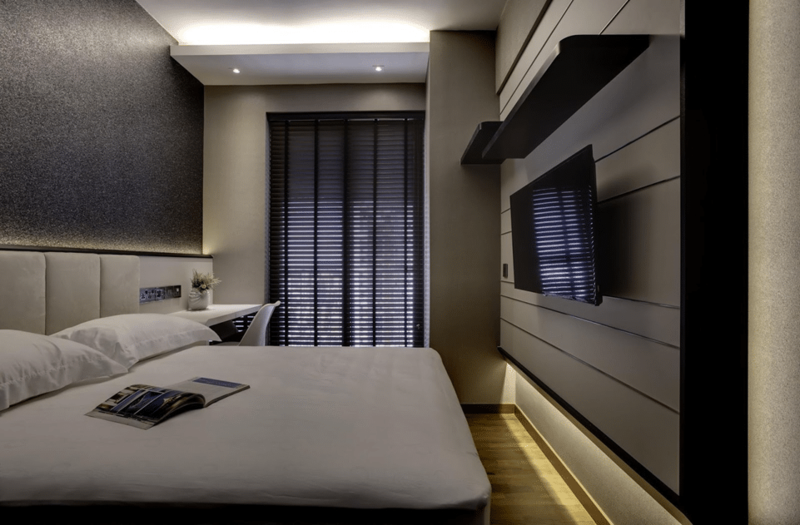 Enhance your bedroom with neutral colors, a great blend of gray, black and white is shown in the above picture designs by Juz Interior, makes this bedroom effortlessly stunning. 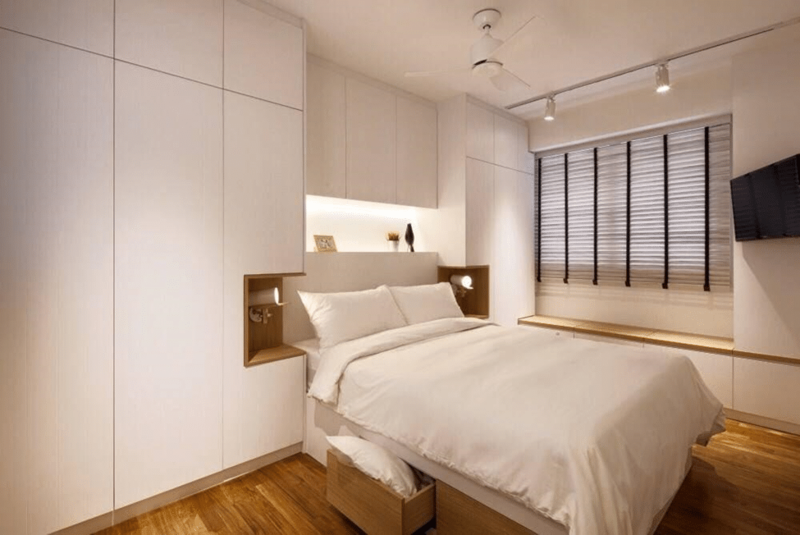 The ultimate eye-relaxing white Scandinavian style with a cool and trendy touch of wooden floor as shown in the above picture by Posh Home makes this bedroom ideally appealing for people who love minimal. 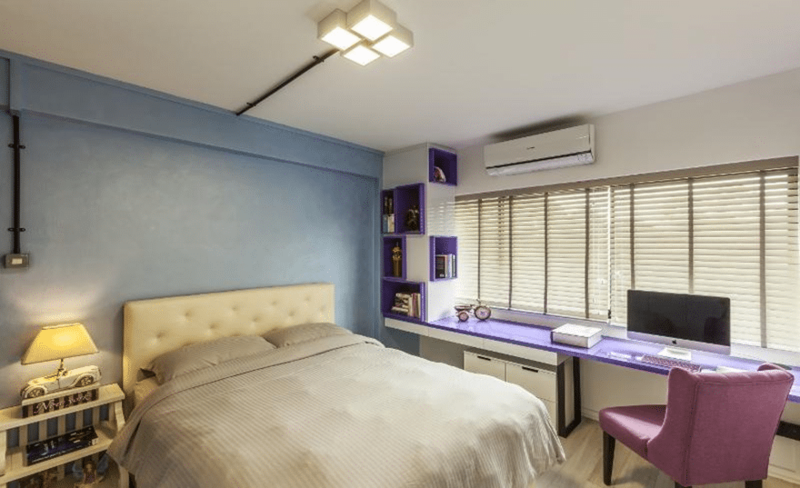 Consider such stunning bedroom for your home with cool accents of blue and purple give this Scandinavian style room as shown in the above picture by Meter Cube a great new look. Such soft colors can add a chic feel to any room.